Are you tired during the day even though you’re getting enough sleep at night? Is this excessive sleepiness causing you to fall asleep while at work, doing chores or even driving? You may be suffering from narcolepsy. Arguably the least well-understood sleep disorder, narcolepsy does not always take on the form of the dramatic depictions we’re familiar with on the TV screen. In fact, this sleep disorder affects approximately 1 in every 2,000 people. While the severity of its symptoms can vary widely, in all its forms narcolepsy has the potential to disrupt your life. 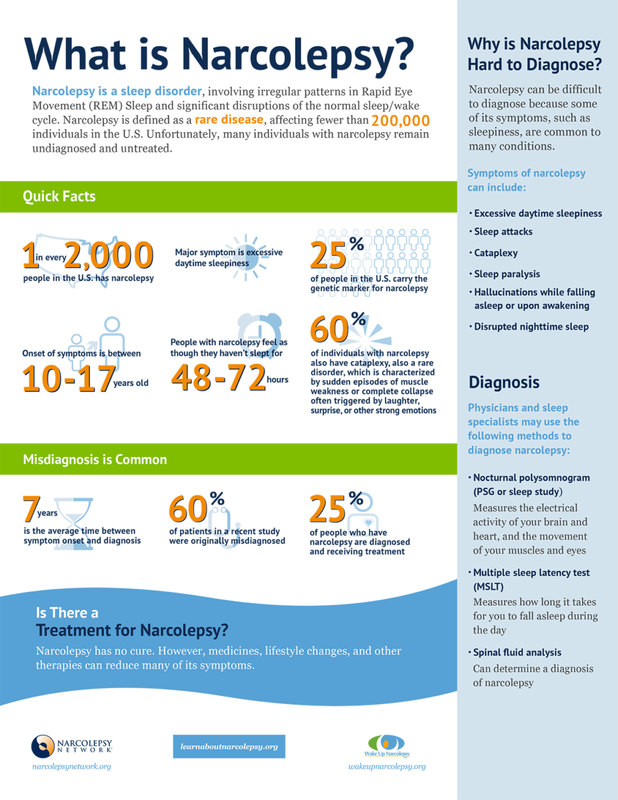 Narcolepsy is a complex sleep disorder that is caused by a blurring of the lines between sleep and waking states. People with narcolepsy often feel sleepy all the time, and experience odd phenomenon associated with passing in and out of a sleeping state (such as sleep paralysis and hallucinations). In certain cases, narcolepsy presents with sudden episodes of cataplexy (partial or total loss of muscle control). 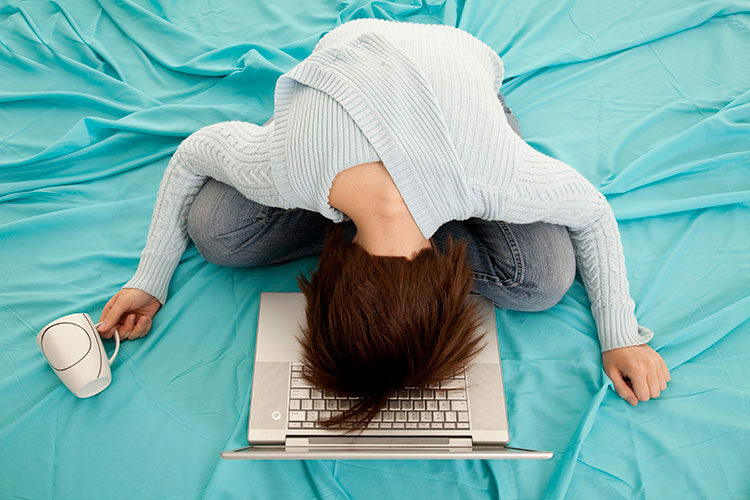 In most cases, people begin to experience symptoms of narcolepsy during adolescence and early adulthood (15-25 years); however, the disorder can arise at any age, even in infancy. To make matters more difficulty, due to a lack of understanding and familiarity with its presentation, narcolepsy often goes undiagnosed for a number of years. Narcolepsy affects the way you navigate the stages of your sleep cycle: deviating from the normal progression through stages 1, 2 and 3 (otherwise known as non-REM sleep) and finally into REM (rapid eye movement sleep). People suffering from narcolepsy skip the stages of non-REM sleep completely, jumping right into REM sleep almost immediately. You may also suddenly switch into a REM state throughout the day. Narcolepsy causes people to feel extremely sleep most of the time, and you may even fall asleep while performing normal daily tasks. Your sleepiness may be so severe that it interferes with your ability to carry out life’s responsibilities. You may experience symptoms of sleep deprivation, even if you’ve had adequate sleep the night before. These include: brain fog, a general lack of energy, poor concentration, memory problems, and depression. Sleep attacks are sudden, uncontrollable episodes of falling asleep. They can happen while you’re going about any activity, and occur at all times of the day. Some of these intermittent attacks are very brief (lasting only seconds), and you may experience “automatic behavior” during them — that is to say, you’ll continue to carry out the activity while asleep. When you awaken you have no recollection of what you were just doing. When the muscle paralysis associated with REM sleep occurs spontaneously during waking hours this is known as cataplexy. This sudden loss of muscle tone can cause slack jaw, weakness in your limbs, slurred speech and ever total body collapse. Interestingly, cataplexy is often triggered by experiencing an intense emotion, like laughter, anger and surprise. One of the more eerie symptoms of narcolepsy is frequent hallucinations. They’re called hypnagogic when they occur with the onset of sleep, and hypnopompic when they happen as you’re waking up. These types of hallucinations are most commonly visual, but any of your sense can be involved. Sleep paralysis is another freaky phenomenon that people without narcolepsy may experience at some point; again, it’s far more common in people suffering from the disorder. This is yet another case of characteristics of REM sleep occurring while you’re awake. Suddenly shifting into and out of REM sleep can cause you to be consciously awake while experiencing peripheral paralysis. Narcolepsy often presents alongside other sleep disorders, like sleep apnea, restless leg syndrome and insomnia. This can make getting the right diagnosis even trickier. These studies have found a link between narcolepsy with cataplexy and low levels of hypocretin — a neurotransmitter which plays an integral role in regulating our sleep wake cycles. Normally hypocretin is secreted during waking hours in order to sustain alertness and prevent REM us from entering REM sleep at the wrong (often inopportune) times. Hypocretin is primarily produced in a cluster of cells located within the hypothalamus. In people with narcolepsy with cataplexy this area is damaged or even completely destroyed. While scientists have pinpointed a role for hypocretin in narcolepsy, they have not yet been able to answer what causes these individuals to have low levels of the neurotransmitter in the first place. Additionally, there remains a small subgroup of people with narcolepsy who have normal levels of hypocretin. Science does not yet have an answer as to what causes the disorder in these cases. Another proposed cause of narcolepsy is an issue with immune function that causes antibodies to attack healthy cells. If you think there is a chance you are suffering from narcolepsy you should make an appointment with your doctor. During your visit your doctor will do a regular physical exam and take a detailed medical history to rule out any other conditions that may be causing your symptoms. You may be sent home with some homework to complete before your next appointment. Keeping a sleep diary for a week or more can help your doctor see if your sleepiness is related to poor sleep patterns or not. The next step in your diagnosis will be having some specialised testing done at a sleep disorders clinic or sleep lab. These tests will be able to answer definitively whether or not your have narcolepsy. During the PSG, you will spend the night at a sleep lab having continuous multiple measurements taken while you sleep. Together the data will indicate if there are any abnormalities in your sleep cycles. For diagnosing narcolepsy, the PSG will show if REM sleep is occurring at odd times throughout your sleep cycles. The test can also be used to rule out other sleep disorders. The MSLT takes place during the day and is used to get a measure of how often you fall asleep throughout the day. This test can also show if elements of REM sleep are occurring while you’re awake. Medical stimulants are typically prescribed in order to help you stay awake throughout the day. 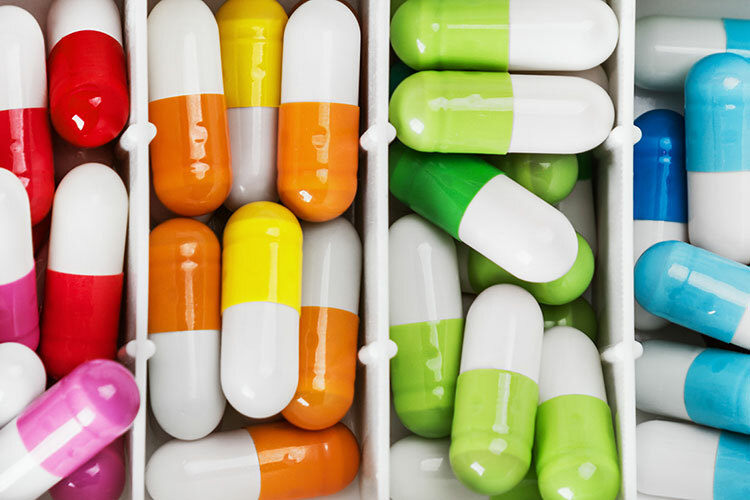 Unlike older stimulants, new medications such as Provigil (modafinil) and Nuvigil (armodafinil) are less addictive and have fewer highs and lows. Stick to a schedule: As with all sleep disorders, sticking to a set sleep-wake schedule can make a significant difference in your symptoms. Try to go to bed and wake up at the same time every day, even on the weekends. Take naps: Making room in your daily schedule for short naps at regular intervals throughout the day can help reduce the impact of excessive daytime sleepiness.Avoid nicotine and alcohol:Both nicotine and alcohol have been linked with an increase in symptoms in narcolepsy. Avoid the use of these substances, particularly at night. Get regular exercise: A daily exercise routine has been proven to help improve the quality of your sleep and boost energy levels during the day. Living with narcolepsy comes with its own challenges. While your doctor and sleep specialist can help you manage your symptoms, living with an incurable disorder can have a significant impact on all aspects of your life. 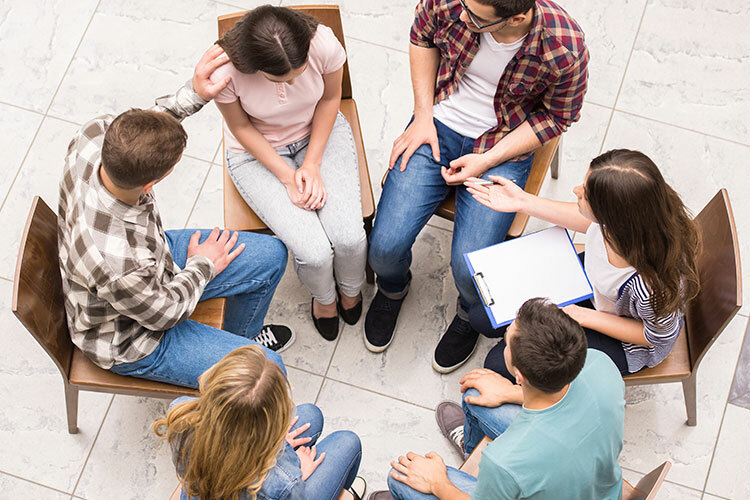 You can locate a support group in your neighborhood by either asking your doctor for a referral or using Narcolepsy Network, Inc.’s online directory. Keeping track of your symptoms and changes in your condition whether for diagnosis or for follow-up care can become burdensome. These nifty tools are easy to use and can help you provide your doctor with the most comprehensive information and improve your care.